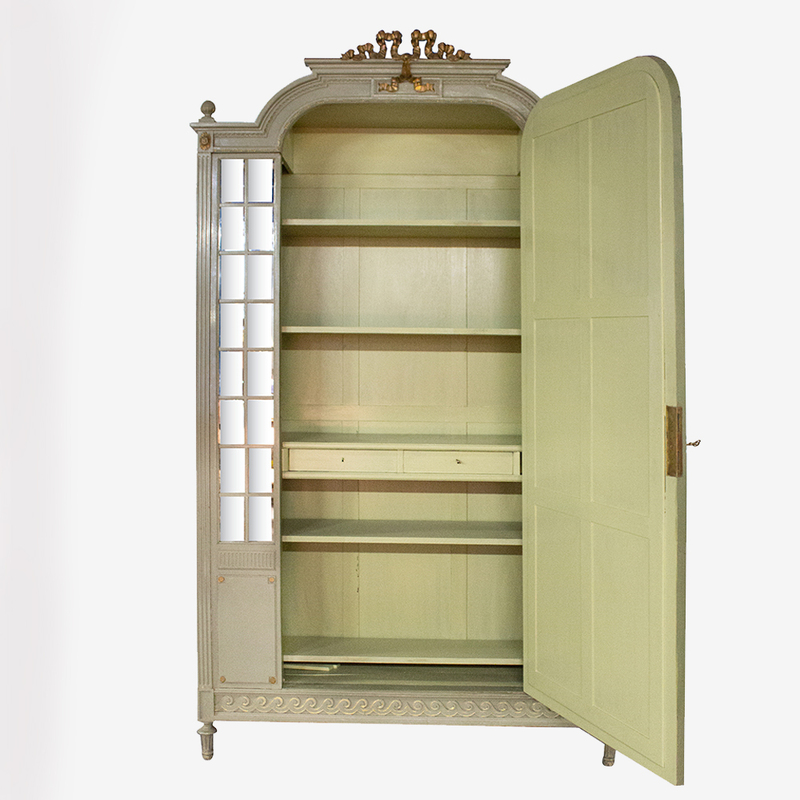 Louis XVI style painted armoire with mirror door. 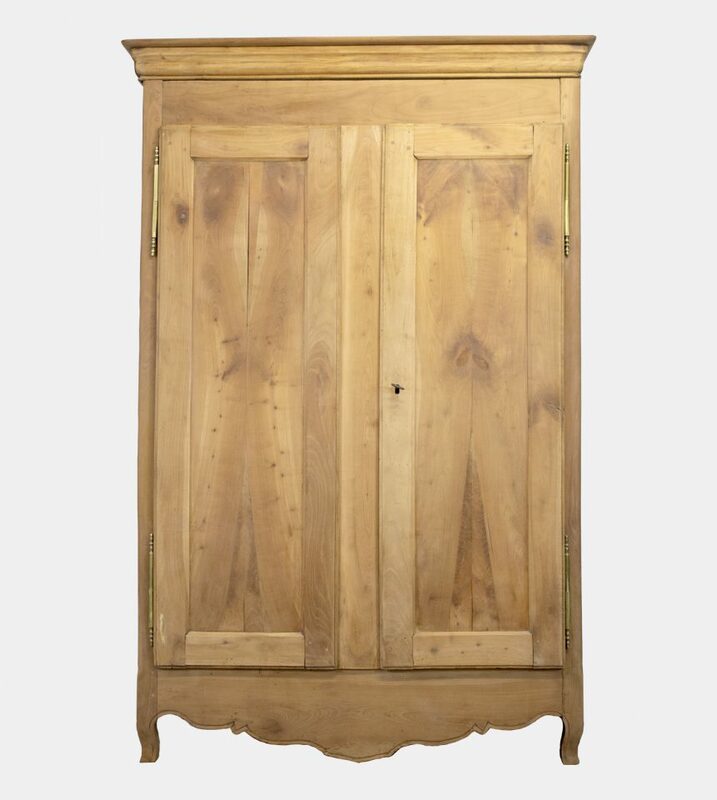 Despite the large storage potential, this exceptionally beautiful armoire has a light and refined appearance, largely because of the pleasing proportions, the mirrored facade, and all of the very fine decorative details! The color is in between olive and breakfast green. 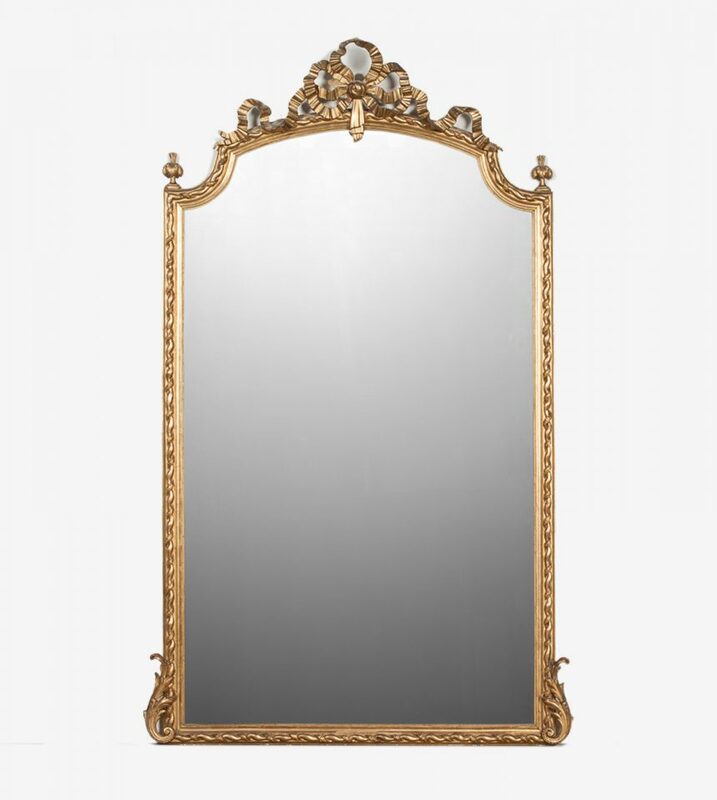 The mirror is the original mercury glass mirror. 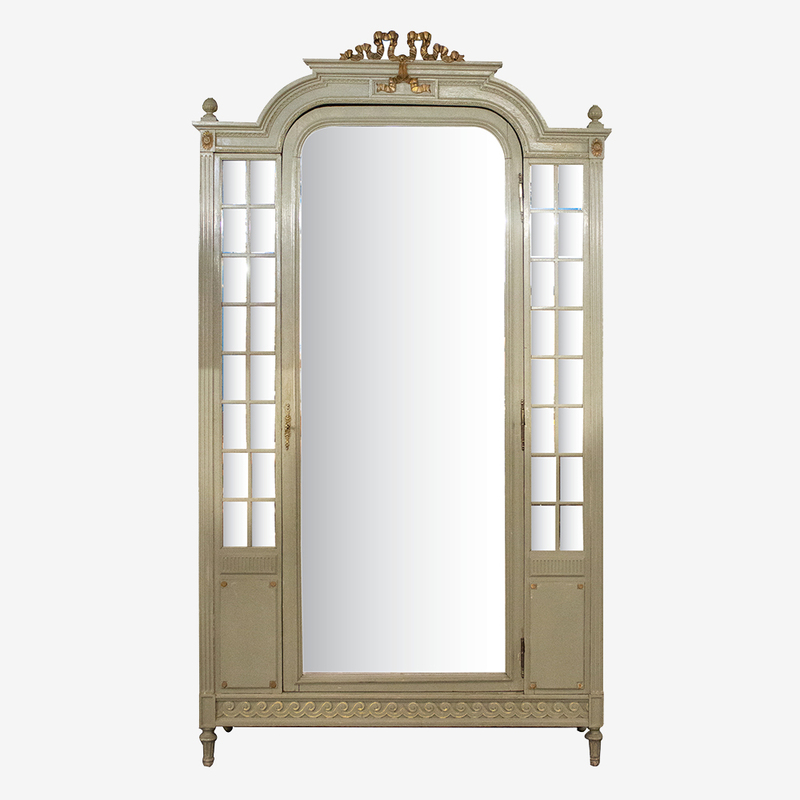 It has a light stain in the middle mirror part, as can be seen on the detail picture. H 250 cm. W 142 cm. D 45.5 cm.